Easy Way to Start Studying the Bible! Available FREE to all who attend our church. 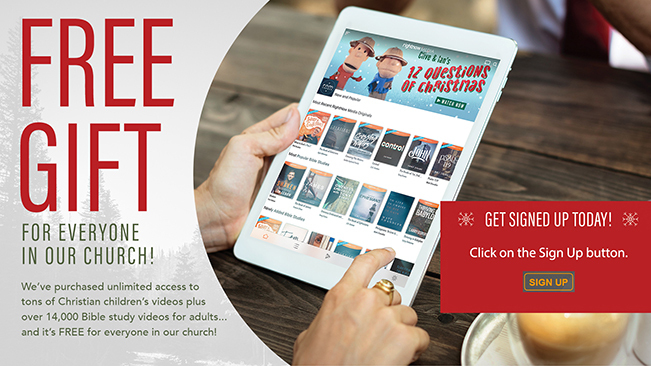 Over 14,000 Videos to help you with your spiritual growth, parenting, marriage, etc. Access to this library is available free to all who attend Turning Point Church. Wonderful Videos are available to all ages. A great way to deepen our understanding of different needs in our life or family. These Biblical teachings will help people apply the truth to their personal lives. Kids, students and adults from Turning Point Church can instantly access some powerful teaching from experts across the country. GREAT TEACHING — only a click away!